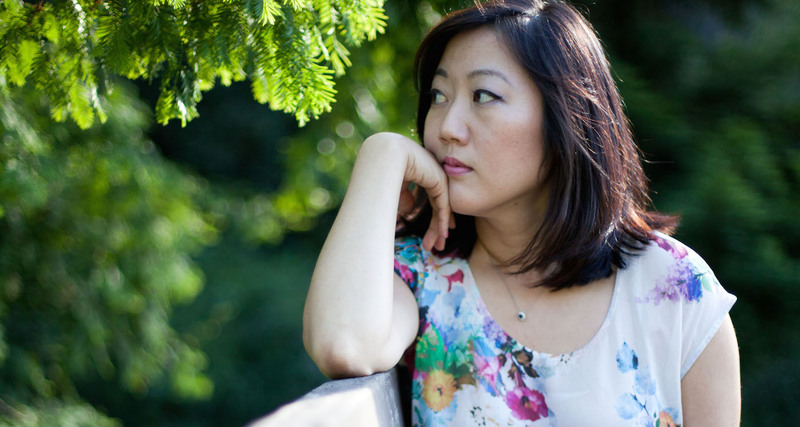 Christine Hyung-Oak Lee talks about life and writing after a traumatic health experience. I spoke with Lee about her experience, and what she has learned about herself and her writing. It’s amazing that you could go through something so profound health-wise and chart a new path for yourself coming out of it. What’s the response been to your essay? I’ve been blown away. As life-changing as my stroke was, the response, too, will probably go down in my life history as a turning point. I had a blog — and I’ve been blogging since before it was called “blogging,” back when it was called “web journaling,” back in the days when Justin Hall was on links.net and when I wrote my posts in HTML. But before I spun up my anonymous blog, I was asked to stop blogging by a few family members. I was putting them at risk, they said, I was not to make myself so public. Bottom line, I didn’t want to stop blogging, so I started up a blog under a pseudonym. I never told them about the blog. A few months later, I had my stroke. The blog was one of the first places to which I turned when I had my stroke, before I knew I’d had a stroke. I wrote in my journal, too — but I turned to my blog in the wake of my stroke, which for me was a largely isolating event. I made some great friends. Got support that way. It was my village, for a time. Also, my blog has always been a place to do some “low-stakes writing” — writing without the intention of publication, writing that is more therapeutic. That said, blogging has always been a venue for me to refine my writing voice — because after all, it is still a public space with readers. What are the odds that a person could suffer a stroke at 33? According to the New York Times, about 10 to 15 percent of strokes happen to people under the age of 45. That’s supposed to be about 1 in 1,000. And oftentimes, young people who have had a stroke are misdiagnosed and sent home. I was the youngest person in the DCU (aka “stroke unit”) in the hospital by about 30 years during my stay. Most doctors were astonished by my age. They certainly didn’t suspect I’d had a stroke until they saw the MRI and its uncontested results. I could see how I could have been sent home and had to shoulder a mysterious ailment. I was lucky in that they figured it out and I got the care I needed to ensure the recovery I eventually had. Can you talk about some specific posts that led you on a path both during and after your stroke? Definitely, the post during which readers told me to go to the hospital! I’m not sure where I found my voice after the stroke, really. I think there were people out in the internet reading — Carolyn Kellogg, who writes for the LA Times , had a blog called Pinky’s Paperhaus at the time, and she linked to me as a writer recovering from stroke. So there was definitely interest in my story and situation. I really don’t think I found my voice regarding my stroke until years later. I wasn’t able to write about it until my post for Nova Ren Suma, who did a Turning Point series on her blog, to which I contributed with a reference to my stroke. Not only has blogging my stroke experience refined my voice, it was also life-saving. And anonymity provided sanctuary. It is as normal as I imagine it to be. It’s, honestly, better than my life pre-stroke. I’m following my dreams and choosing very carefully what it is I want to do each day, each month, each year. While in recovery, I had very limited energy, and had to be particular about my priorities; I decided to keep doing that, go forward. And what about your writing? Once you go through something like that, when so many of your abilities are taken away, your life is pared down to what it is you really want to get back. I went through a very dark place at some point in my recovery — and although I don’t look upon that phase with fondness, I did learn what was most important to me, and what it is I most desired out of my life. And my writing became a front-and-center goal. I’d always known writing was important to me, but after the stroke, I knew I would channel everything I had to get back to writing. Now that I’m writing again, I’ve more a sense of structure with regard to my writing projects; in fact, I’m obsessed with structure, because recovery is so much about stages and regaining structure. Because my brain was injured, I understood how writing happens, in my brain at least — that stories are modular, that I need quiet, that layers come with each retelling.